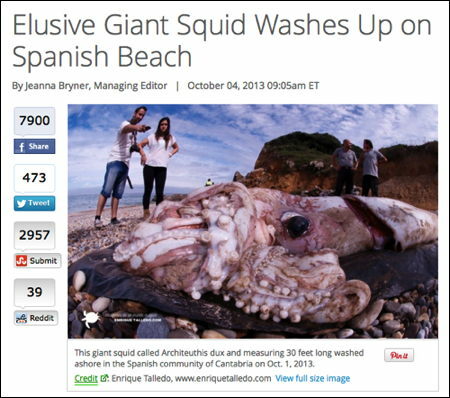 The latest fake news article masquerading as authentic report involves a giant squid — grown to mutant size because of Fukushima radiation — supposedly washed ashore near Santa Monica. 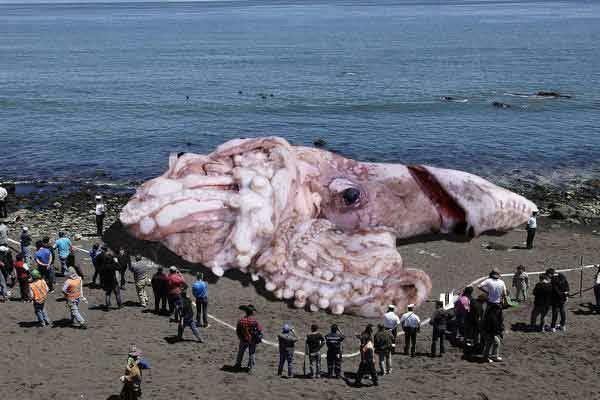 The photo of the giant squid is circulating with hashtags such as #RadioactiveGigantism and #GiantSeaCreature. The story comes from a site called The Lightly Braised Turnip. I suppose that name is supposed to tip you off that the site is like The Onion, or aspires to be. But it's not The Onion. It's a lightly braised turnip instead. A few months ago a giant squid really did wash ashore in Spain, and the folks at the Lightly Braised Turnip used an image of that squid to create their faux Santa Monica beach scene. 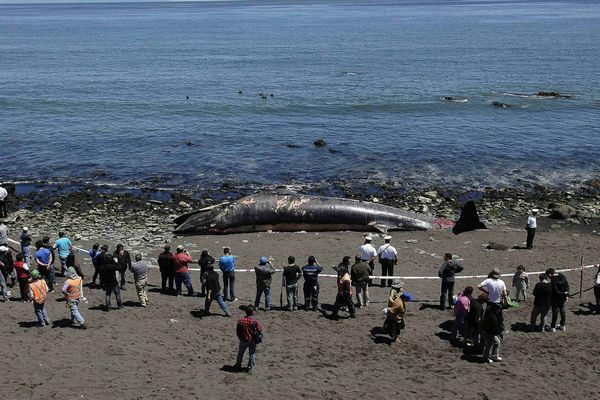 The beach scene that the giant squid was inserted into came from a Nov 2011 story about a dead whale washed ashore in Chile.